“On the Brink of Famine” a Virtual Reality Documentary. Immense pleasure to announce about a project we worked on will be releasing on 1st March. 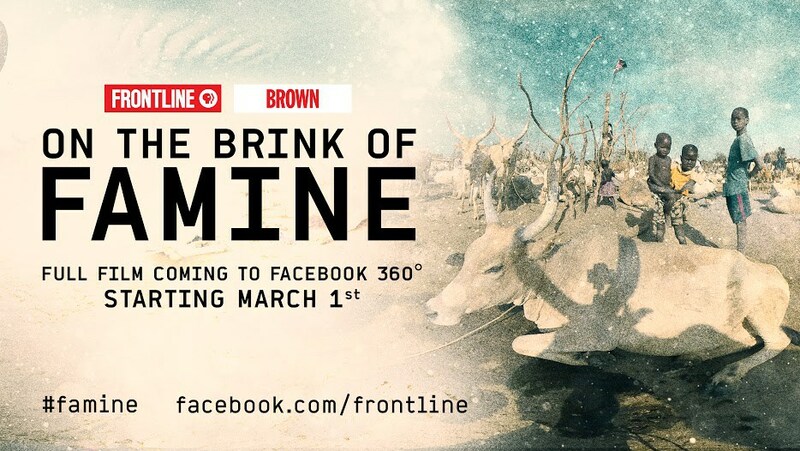 Please check the teaser on Facebook 360 Degree.Outstanding Experience to work on this project and really thankful to My Dear Friend MR.EVAN WEXLER and My Guru MR.BEHRAM PATEL to give me a great opportunity to work on this project named “On the Brink of Famine”. The Drop: On the Brink of Famine – 360° VideoThe only way to get food into some war-torn regions of South Sudan is by dropping it from the sky.Experience a food drop through the power of Facebook 360° in the first scene of a new immersive documentary by FRONTLINE and The Brown Institute for Media Innovation, with support from the Ford Foundation and MINY Media Center by IFP. Full documentary coming March 1.